Rep. RONALD DION DeSANTIS (R-FL6/KOCH INDUSTRIES. This weirdo, whiny, racist TRUMPster wanted to end the Robert Mueller investigation of President TRUMP last year. Color him colorless and cowardly, giving in to bullying from PRESIDENT DONALD JOHN TRUMP, who endorsed this hick hack Yale/Harvard alumni toady for the Republican nomination for Governor of Florida, which he grabbed from longtime Republican legislator and Secretry of Agriculture Adam Putnam. DeSANTiS has misrepresented all or part of St. Johns County in Congress since 2013. 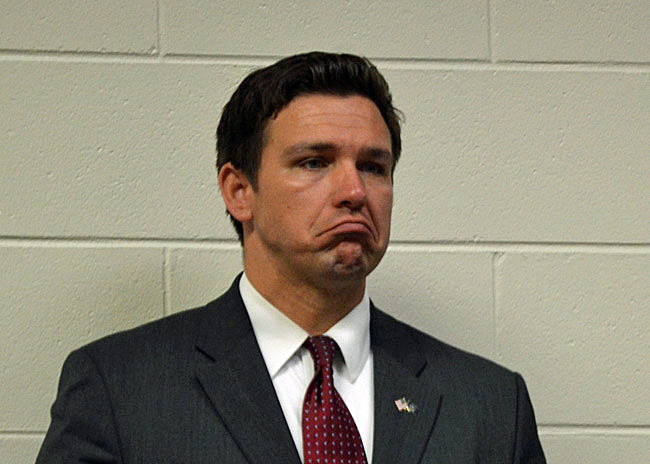 Unlearned, uncouth and uninformed -- unadorned by executive experience -- radical right-wing reptilian, rebarbative, retromingent Republican reprobate RON DeSANTIS is already six (6) points behind Tallahassee Mayor Andrew Gillum.